Industrial forklifts are used in a variety of places including construction sites, shipyards, mines and drilling sites. They are invaluable in that they can unload pallets of materials, steel girders and pipes and other products from the delivery trucks and carry them to parts of the work sites that are not accessible to other vehicles. 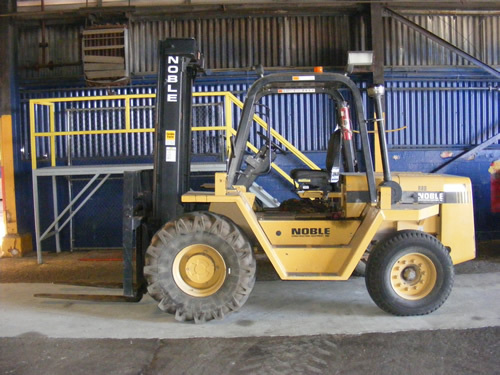 Larger, heavy-duty forklifts can also transport large containers from delivery trucks to dockside storage areas, and then to the ships. Due to the working conditions and locations, forklifts will often get extremely dirty. After washing, the wash water generated will be full of grease and oil. Our Fork Lift (FL Series) Water Treatment Systems are heavy-duty, multi-stage reclaim and discharge systems. 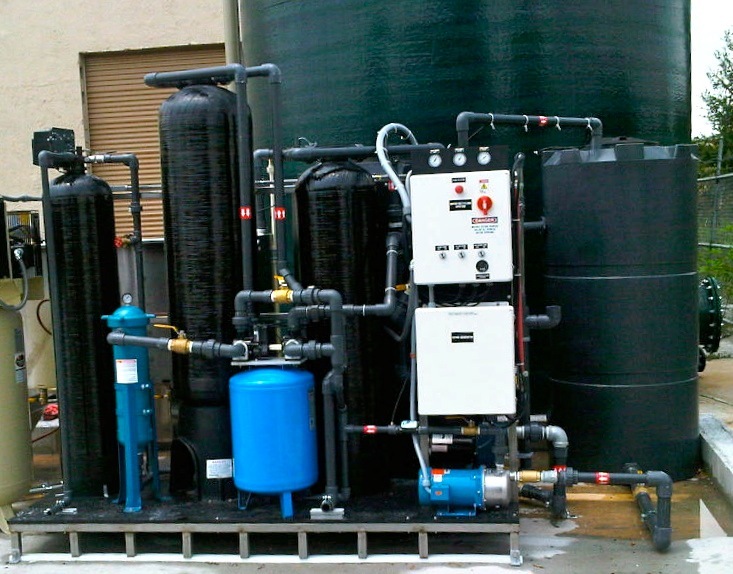 Our Fork Lift (FL Series) Water Treatment Systems are heavy-duty, multi-stage reclaim and discharge systems. Depending on the usage, a certain amount of solids will be generated by the washing process. To handle the solids, our engineers will develop a site-specific solids removal system which could include sumps, trenches, screens, debris baskets and skimmers. After many of the solids are removed in the first stage, the water will then be processed through a stainless steel clarifier oil water separator which removes most suspended solids (TSS), essentially all settleable solids and all free and dispersed non-emulsified oils from the waste stream.